Roma offers a taste of all the best the country life has to offer. 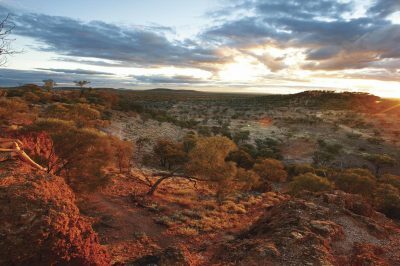 From the beautiful heritage listed buildings located in town, to genuine outback hospitality, to wandering the 14 hectare Roma Bush Gardens. Witness the Australia’s largest cattle sale yards in action every Tuesday and Thursday. Over 400,000 head of cattle pass through these yards every year. Head down to the court where the infamous Bush Ranger Harry “Captain Starlight” Redford was tried in 1873 for stealing over 1,000 cattle from Bowen Downs Station. The spectacle of the trial, and the “not guilty” verdict, has become legendary. Stroll down one of the most unique war memorials in the world. Hero’s Avenue includes 140 bottle trees, each one honouring a WWI fallen soldier from the region. The avenue ends at Queen’s Park where you will find a list of each soldier’s name among pine trees reported to be grown from seeds collected in Gallipoli. The Big Rig Night Show reveals the history of oil and gas exploration and mining in Roma. The 35 minute show runs three times weekly – Tuesday, Thursday and Saturday. Roma is sure to have something on most times throughout the year. There are Picnic Races held in March to the spectacular Easter in the Country Festival. The Roma Show is a chance to witness the best the country has to offer. The colours, sights, smells and tastes of the biennial Food and Fire Festival are not to be missed. The festival celebrates the cultural diversity of the town in spectacular fashion every two years, the next being held in 2019. Maximum temperatures regularly climb to the mid 30s during summer and rarely drop below 20 ℃ during winter. The nights in winter are cold, dropping below zero on many occasions. Roma’s rainfall is higher than many other towns in the area, resulting in a sub-tropical climate. The rainfall is moderate and distributed quite evenly throughout the year. Higher rainfall is possible during summer due to thunderstorm activity. Roma has the honour of being the first town gazetted in the newly independent colony of Queensland. The town was established in 1862 on the site previously known as Reid’s Crossing. Interestingly, there were three hotels in the town before any houses were built! The town was named for Lady Roma Bowen, the wife of the then Queensland Governor. With the arrival of the railway in 1880, Roma grew quickly to support the cattle and sheep grazers of the region. That growth was recognised and the town was proclaimed a municipality in 1867. Roma truly something has something to delight every visitor.